Showing 1 - 20 of 337 results. 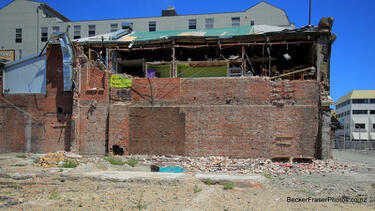 Photograph captioned by BeckerFraserPhotos, "Old Municipal Council Chambers in Worcester Street". 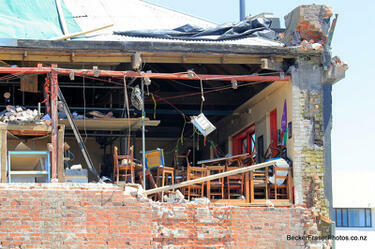 A photograph captioned by BeckerFraserPhotos, "Earthquake damage to the Mexican Cafe and His Lordships building on Lichfield Street". A photograph captioned by BeckerFraserPhotos, "An old advertisments which was revealed on a building on Lichfield Street when its neighbour was demolished. 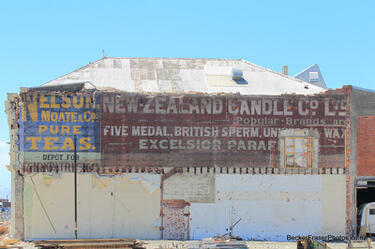 The advertisement reads 'New Zealand Candle Co Ltd.' and then adds 'Five Medal, British Sperm', which are brands of candle". 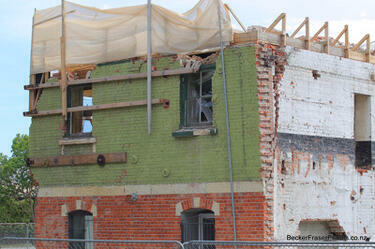 A photograph captioned by BeckerFraserPhotos, "The La Boheme building on Bedford Row which was further damage during the 23 December 2011 earthquakes". 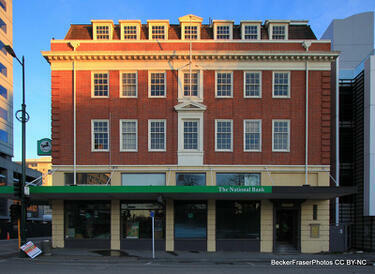 Photograph captioned by BeckerFraserPhotos, "Isaac House, also known as the National Bank building at 779 Colombo Street". 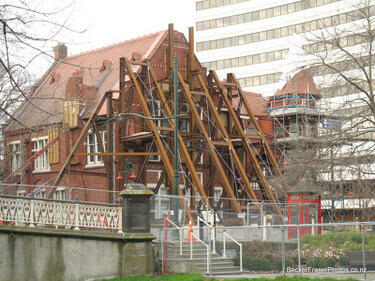 A photograph captioned by BeckerFraserPhotos, "MSC House at 92 Lichfield Street which has sustained further damage during the 23 December 2011 aftershock". 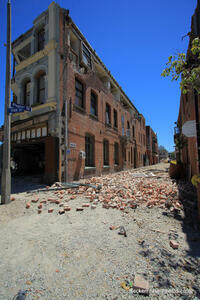 A photograph captioned by BeckerFraserPhotos, "A brick building on Lichfield Street which has suffered further damage during the 23 December 2011 earthquake". 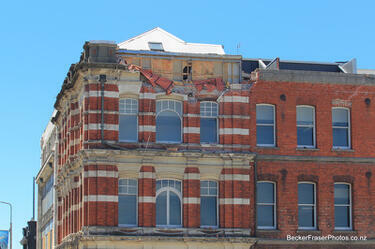 A photograph captioned by BeckerFraserPhotos, "Damage to the side wall of the Mexican Cafe and His Lordships on Lichfield Street. 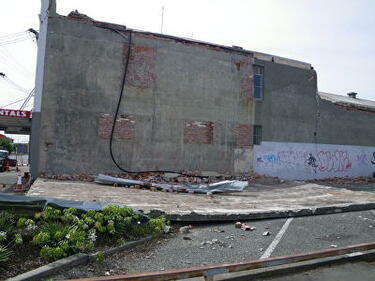 from the December 23 earthquakes". A photograph captioned by BeckerFraserPhotos, "A view looking along Poplar Lane. Two weeks earlier the surface of the lane was clear". 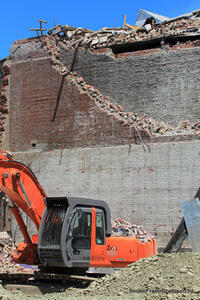 A photograph captioned by BeckerFraserPhotos, "A pile of bricks which have crumbled from a wall and landed on a digger at a demolition on Lichfield Street. 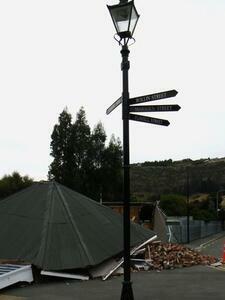 This is a result of the 23 December 2011 earthquake". 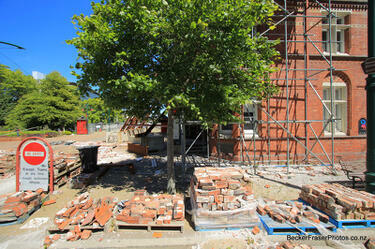 A photograph captioned by BeckerFraserPhotos, "Poplar Lane, looking rather the worse for the wear. 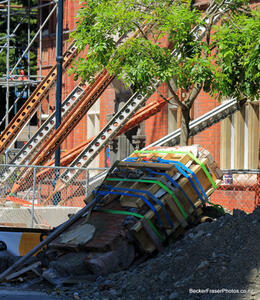 It's not clear whether this is from demolition activity or earthquake damage". 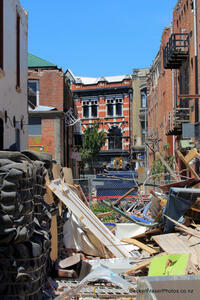 A photograph captioned by BeckerFraserPhotos, "A demolition site on Lichfield Street, where further damage occurred as a result of the 23 December 2011 earthquakes". 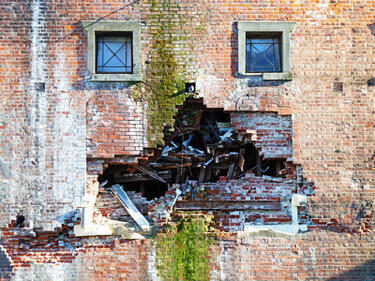 A photograph of a collapsed brick building. The photograph is captioned by Paul Corliss, "Heathcote". 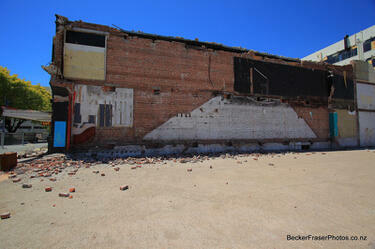 A photograph captioned by BeckerFraserPhotos, "Damage to the Crichton Cobbers Youth and Community Club on Fitzgerald Avenue". 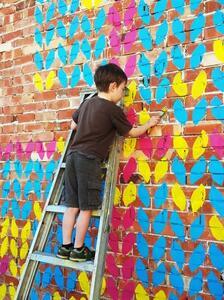 A volunteer painting the "Knit Happens" mural on the exposed brick wall of a building. 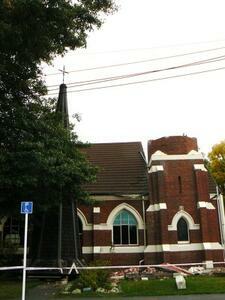 A photograph captioned by Paul Corliss, "Christchurch North Methodist Church, corner Harewood Road and Chapel Lane".